The Dean USA Custom Z Hand Painted Graphic Electric Guitar is part of a new series from Dean USA that features custom airbrushed guitars. 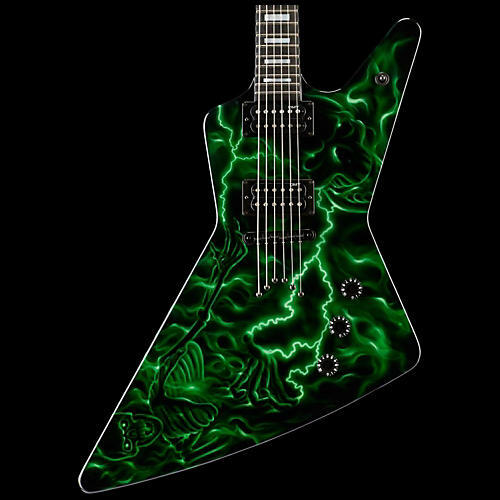 Dean's highly skilled painters produce breathtaking original creations on their top end, American-built V's, Z's and ML's. This model sports an all-mahogany body and set neck with ebony fingerboard. Dean USA DMT Time Capsule pickups deliver searing tones while black hardware adds sleek looks. Includes hardshell case.